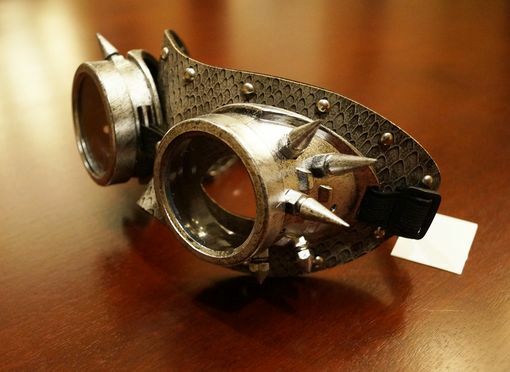 This leather Steampunk mask is accented with studs and spikes. Goggles have a glass lens. Mask comes with elastic bands.